Horizons Unlimited Home Improvements, Inc. Comment: A roof evaluation. Also there are two skylights. Comment: My roof needs to be replaced. The shingles (single layer) are worn out with no obvious signs of leaks in the attic. The house is two stories and from a previous quote the roof is 11.5 squares. 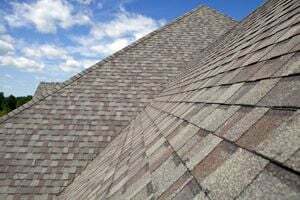 I am looking to have installed a mid range shingle. I am looking for quotes and am available for inspection on 4/22 and 4/23. Preferred initial contact via email. Comment: Saw a leak, i got on the roof, found a small hole at a roof joint and some spots on the roof that seem soft. Roof looks old. Need an expert opinion and quote to replace the roof. Edgewater Roofing Contractors are rated 4.69 out of 5 based on 4,072 reviews of 72 pros. Not Looking for Roofing Contractors in Edgewater, MD?